Automotive recycling is huge! Vehicles are recycled more than any other product worldwide. In fact, roughly 25 million tons of recyclable materials are reclaimed from cars and trucks every year. In the U.S., the majority of every car (about 80% by weight) ends up being recycled. Automotive recycling keeps harmful materials out of the environment. Reclaimed oil from old vehicles saves roughly 85 million barrels of oil every year. In fact, the amount of harmful fluids annually recovered from vehicles equals about 8 Exxon Valdez disasters. On the topic of harmful materials, about 99% of car batteries are recyclable. New cars are about a quarter old car. New cars on the market today are composed of roughly 25% of materials recycled from old junkers. 14 million tons of steel is recycled yearly from used cars. This is enough steel to make 13 million new vehicles! Of course, recycling is only one of the three “R”s! 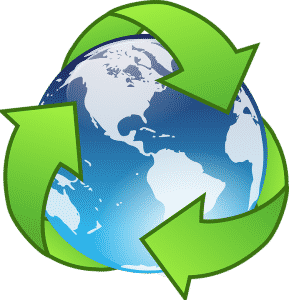 Reducing and reusing are both just as important as recycling, and a wonderful way to reuse is to sell your junk vehicle or get replacement auto parts from U-Wrench-It. We have amazing deals on used auto parts that will save you money while helping the environment. Contact us today at (770) 448-6485 for more info about our auto parts inventory or give us a call at (404) 805-0900 to learn more about getting rid of your junk car in Atlanta.